I have to ship this information to various people from time to time, so, instead of having to go grab screenshots each time and detail out the process, just going to throw this here. 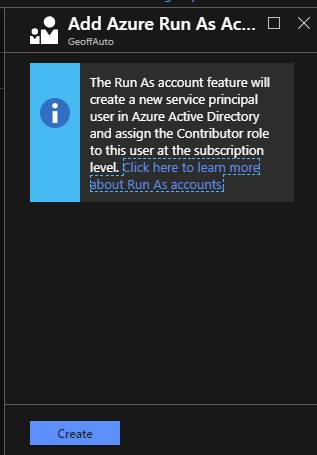 In my previous post (and subsequent presentations on the subject of Azure Runbooks), I often gloss over the use of an Azure Run As Account, as for the purposes of those presentations, this was not required. Azure Run As Accounts provide a means for authentication in Azure, so that your Azure Runbooks can manage Azure resources. Otherwise, you would need to authenticate to Azure in your Runbook scripts as you would from your own computer remotely. 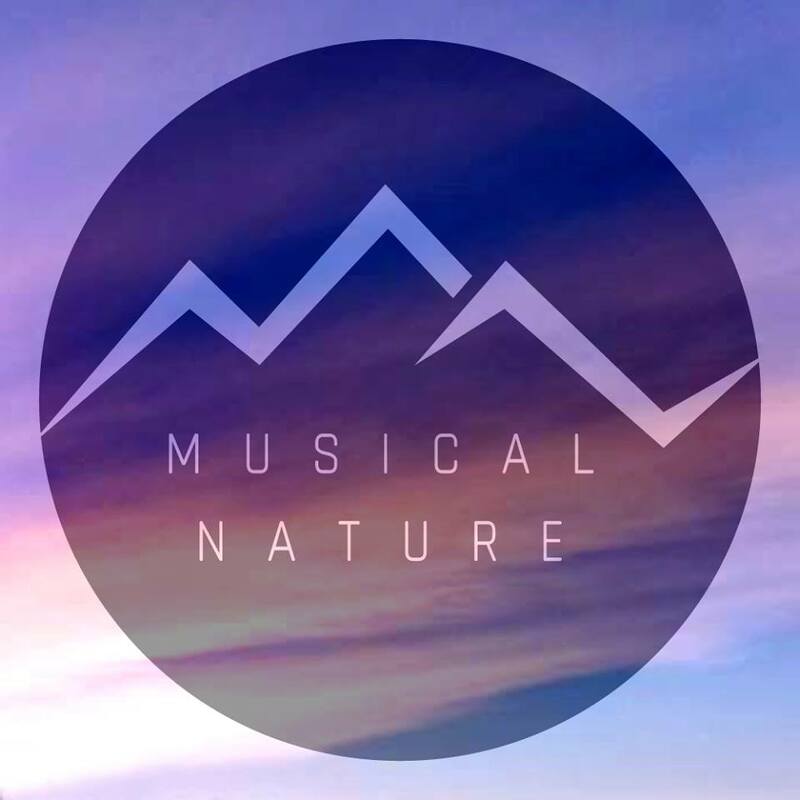 For more in-depth information, here’s a link to the documentation on it. 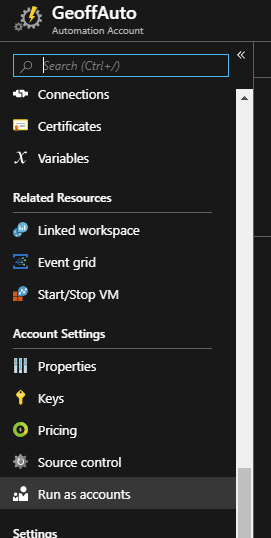 To create an Azure Run As Account in an existing Azure Automation account, perform the following actions. $ErrorMessage = "Connection $connectionName not found." Seen this error before when trying to save a text file, such as a web.config? Frustrating isn’t it? 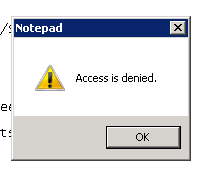 It’s Notepad! It should be able to walk to school, in 3 feet of snow, without shoes, uphill, both ways, without so much as a whimper. Well, apparently it has it’s limitations, as it so easily let you know. The quick fix? Run it as administrator. Yep! You can definitely do this with Notepad, just like other applications, like the command prompt, and Internet Explorer.